It always feels like once one person in your friend group gets engaged, everyone else starts getting engaged and it’s party after party, wedding after wedding. However, something very important to soon-to-be brides is of course the engagement ring, which can sometimes become very hard to choose if you want something unique. This is where Verragio, NYC-made designer engagement and wedding rings, comes into the picture. According to them, “the possibilities are endless when it comes to customization,” which is why they recently launched their latest “Make It Yours” campaign. With this new program, couples can build the perfect ring together on their website. For example, you can start the base off with an existing ring on their website and then you can personalize it by changing the cut of the center stone and type of metal, adding intricate details like lacing, beading and tiaras, and going from there. 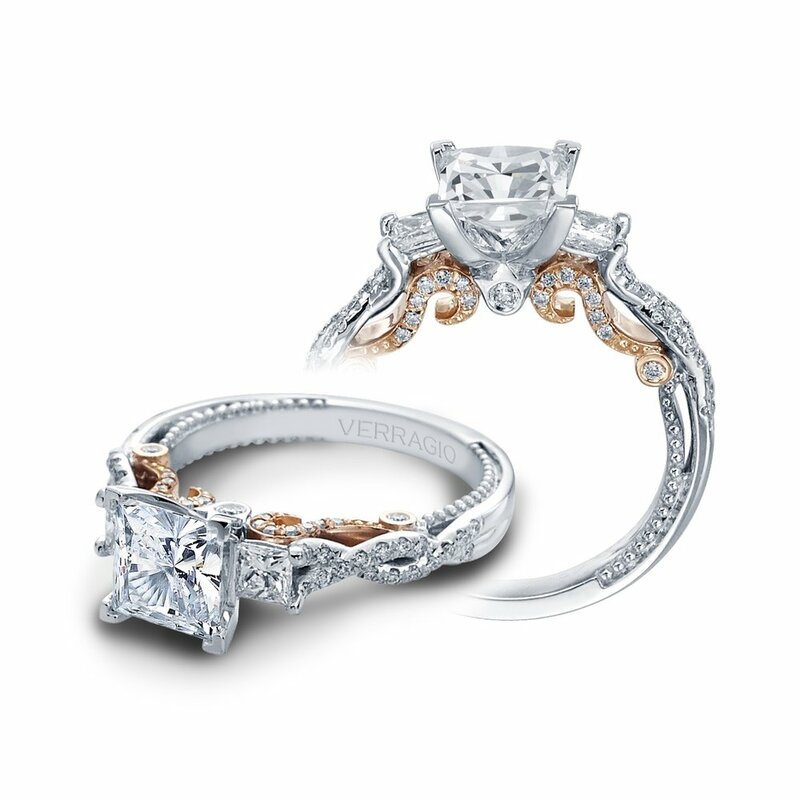 As founder and designer Barry Verragio told us, they "never say something is impossible," meaning that you can really build the ring of your dreams. Because sometimes, more is more.